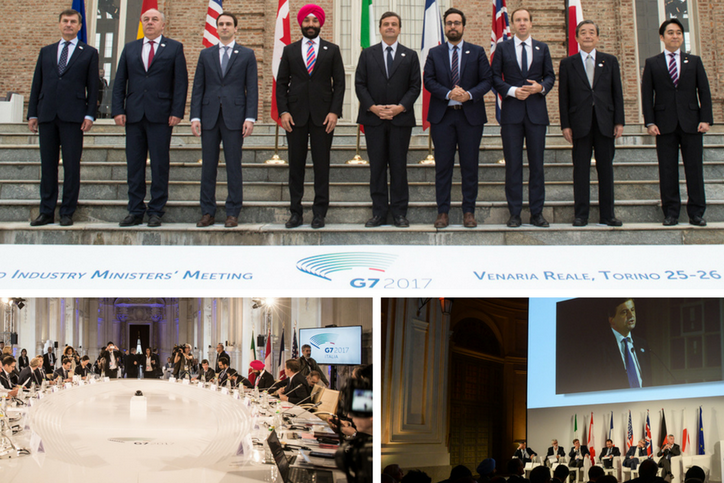 The G7 Ministerial Meeting on ICT and Industry took place in Turin. The G7 ministers addressed several topics, in particular the competitiveness of small and medium-sized businesses in the Next Production Revolution; digital infrastructures and artificial intelligence; cybersecurity for business and intellectual property rights. On the side-lines of the ministerial meeting, on 25 September, a Multistakeholder Conference was held to discuss cybersecurity, Big Data artificial intelligence and digital transformation of small and medium-sized enterprises. On the same day, the engagement group “I-7 Innovators’ Strategic Advisory Board on People-Centered Innovation”, launched during the G7 of Taormina to develop guidelines on the new challenges of innovation, gathered innovators from different countries. The G7 meeting on ICT and Industry is the first of the three ministerial meetings dedicated to innovation to be held until September 30. The Ministries on Science and Labour will be held in the coming days.